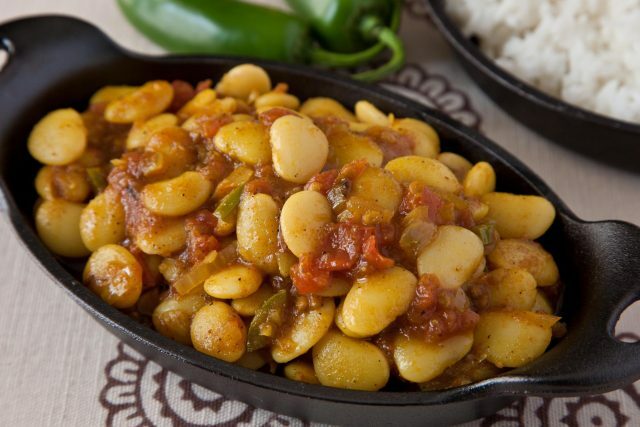 The everyday bean might be the perfect food. Refreshingly inexpensive, beans are also nutritious and flavorful, blend in easily to add bulk to casseroles, dips, salads, salsas, stews, pasta—even bread dough—and lend themselves well to virtually all cuisines from Cajun and Creole, to Italian, Greek, and Middle Eastern. Half the price and no trouble at all. Though dried beans require more time and attention when cooking than canned beans, they are still the superior choice. On average, dried beans cost around half the price of canned beans, the salt content can be easily controlled, the consistency is firmer, and the overall flavors more concentrated. Plus, cooking them is easy: toss them in a slow cooker with some chopped vegetables, seasonings or meats and leave them on low all day long. They’ll be soft, creamy and ready to eat when you walk in the door after work or school. Flavorful in their own right, beans will also absorb every bit of essence to be had from even the most miniscule bit of seasoning meat, allowing for maximum flavor impact with a minimal outlay of cash. Even without the presence of any form of meat added, when served with rice (another inexpensive and readily available staple), the duo comprises a complete protein. Though already thriftily priced, beans can save you even more if you’re prone to buying cans at the last minute. Dried beans can be purchased in bulk, cooked in large batches, portioned into small bags and frozen. Then, when you need a few beans for a recipe—or a whole hill of beans—just grab them from the freezer at half the cost of canned beans. By the way, beans freeze exceptionally well. Here’s more about “batch cooking” your dried beans to save big money. Categories: Bean Love Let's Cook!